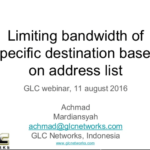 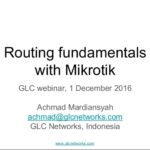 In this webinar, we were discussing about IPv6 technology (what is it, why we use it, benefits of IPv6, how it is written, IPv6 Address type and IPv6 Addressing), and how its implemented on RouterOS. 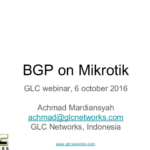 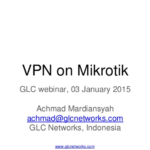 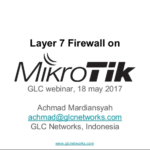 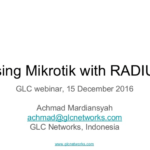 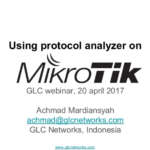 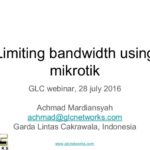 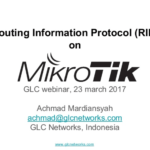 We start the presentation from the introduction of mikrotik and GLC, and then the IPv6. 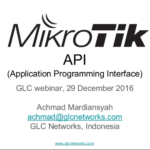 we also do demo and QA and the end of presentation.